Sophie Kohl is living her worst nightmare. Minutes after she confesses to her husband, a mid-level diplomat at the American embassy in Hungary, that she had an affair while they were in Cairo, he is shot in the head and killed. 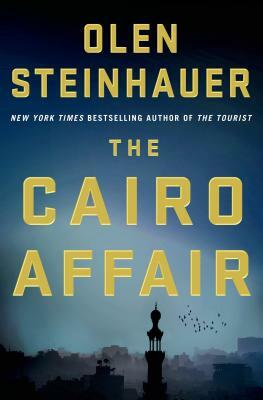 As these players converge in Cairo in The Cairo Affair, Olen Steinhauer's masterful manipulations slowly unveil a portrait of a marriage, a jigsaw puzzle of loyalty and betrayal, against a dangerous world of political games where allegiances are never clear and outcomes are never guaranteed. OLEN STEINHAUER, the New York Times bestselling author of several novels, including The Middleman, All the Old Knives, and The Cairo Affair, is a Dashiell Hammett Award winner, a two-time Edgar award finalist, and has also been shortlisted for the Anthony, the Macavity, the Ellis Peters Historical Dagger, the Ian Fleming Steel Dagger, and the Barry awards. Raised in Virginia, he lives in New York and Budapest, Hungary.